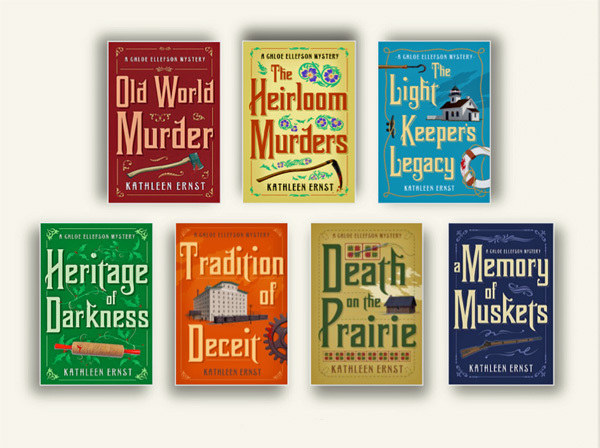 Killer Characters: Happy Constitution Day! 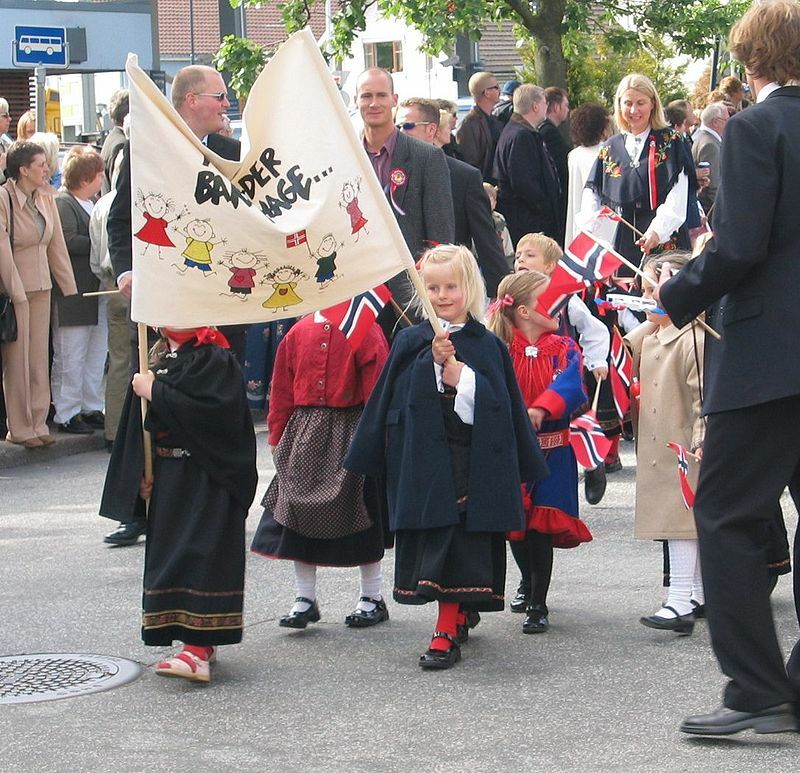 If you have a drop of Norwegian blood, you know what May 17th is: Syttende Mai, or Constitution Day. Since both of my parents are directly descended from immigrants from Norway, I have a whole lot of Norwegian blood. 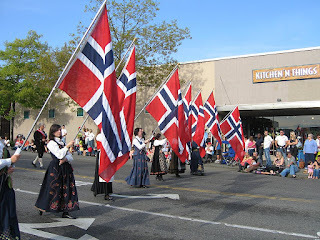 And in my family, Syttende Mai is a big deal. The whole thing started when the Constitution of Norway was signed on May 17th, 1814. 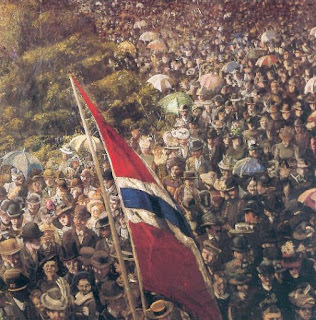 17th of May, 1893, by Christian Krohg. In Norway, the day focuses on children. 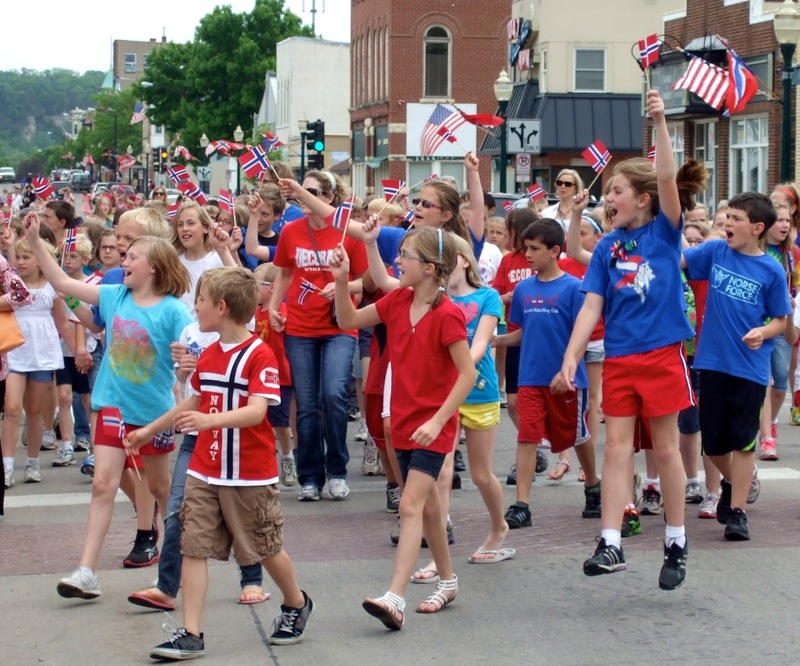 They leave school and parade through their communities with flags. Many wear traditional clothing. They're adorable. In the United States, communities with strong Norwegian-American populations often celebrate with festivals, demonstrations of traditional folk arts, and lots and lots of lefse. 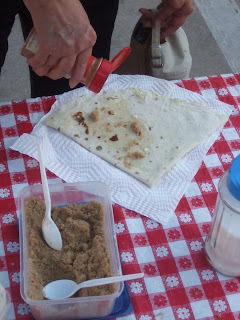 This soft flatbread, made with mashed potatoes, is best when eaten warm, spread with butter and a bit of brown sugar. I grew up in Stoughton, Wisconsin. My mother, Marit all-things-Norwegian Kallerud, did her best to raise my sister and me with Norwegian traditions. 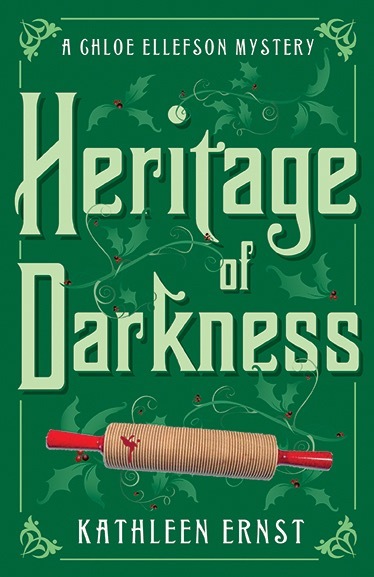 I can make krumkakke with the best of them, and I danced with a folk group all through high school. High school dancers in Decorah, IA. To be honest, I often roll my eyes a bit at my mom's dedication to her Norwegian activities and groups. 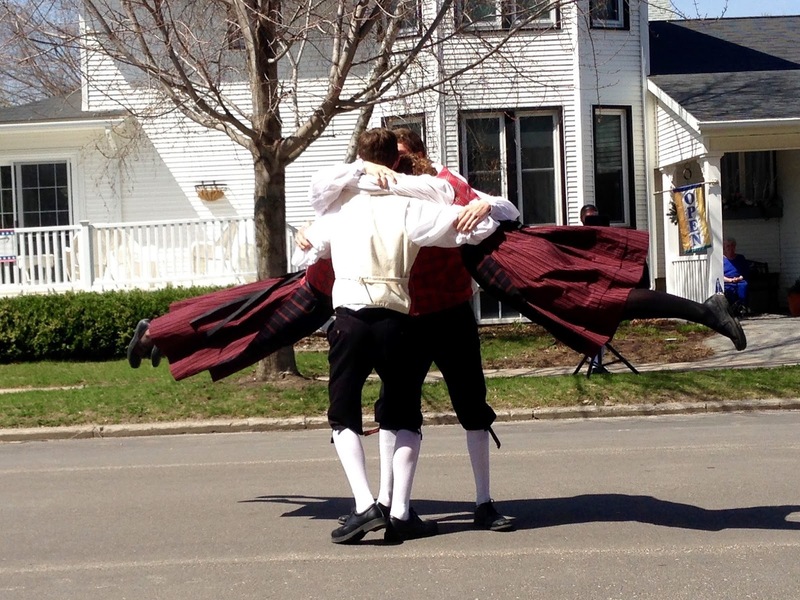 But I have to admit, it would be strange if I didn't do something to celebrate Syttende Mai. May 17th also makes me think a lot about the whole notion of ethnic identity. I mean, I'm an American, generations removed from the Old Country. It's great to learn about my ancestors' experiences and stories, but most of the time it all seems far away. But sometimes, I can almost feel my Norwegian-ness bubbling on some deep, cellular level. It's helped me at my job of curator at an outdoor ethnic museum called Old World Wisconsin. 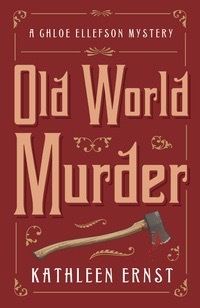 It's even helped me solve a murder or two. 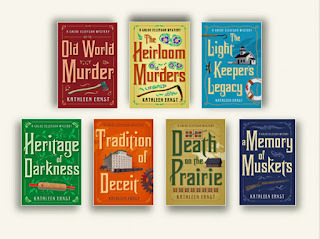 But those are stories for another day. Right now, I'm off to celebrate. And don't worry. 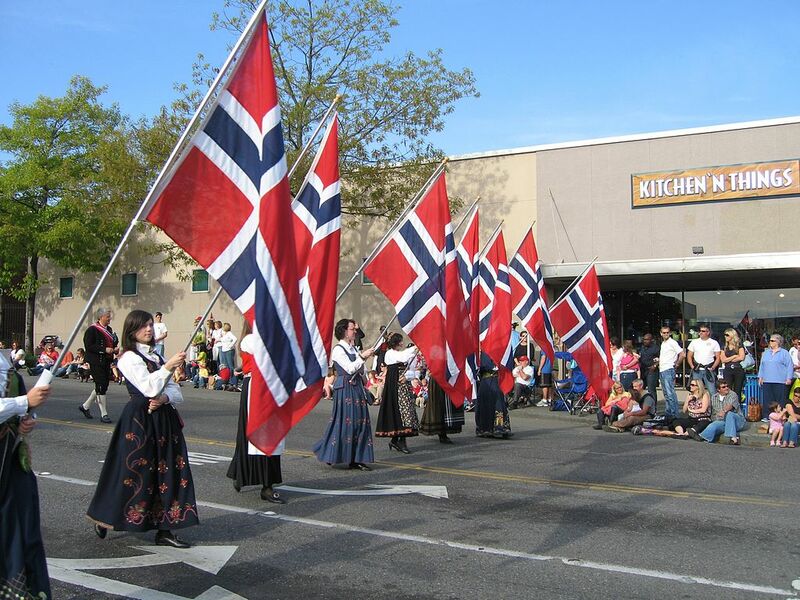 You don't have to be of Norwegian descent to enjoy a good Syttende Mai party. All are welcome. Children's parade in Decorah, IA. How about you? Is your ethnic heritage an important part of your life? My ethnic background is not a direct line. I have French and English ancestors who were here in the US before it was the US. I have Welsh, Scottish and Dutch ancestors who came before and during the Ellis Island period. And that is not counting some other small portions which I do not even know. I am proud that I have so many different lines behind me. I am a citizen of the USA - a melting pot. Such diversity makes life interesting! My father's parents were both Swiss immigrants, and on my mother's side I've a mix, including some who came from the Netherlands in the 1630s. I like having both relatively new arrivals and long-time settlers on my family tree!